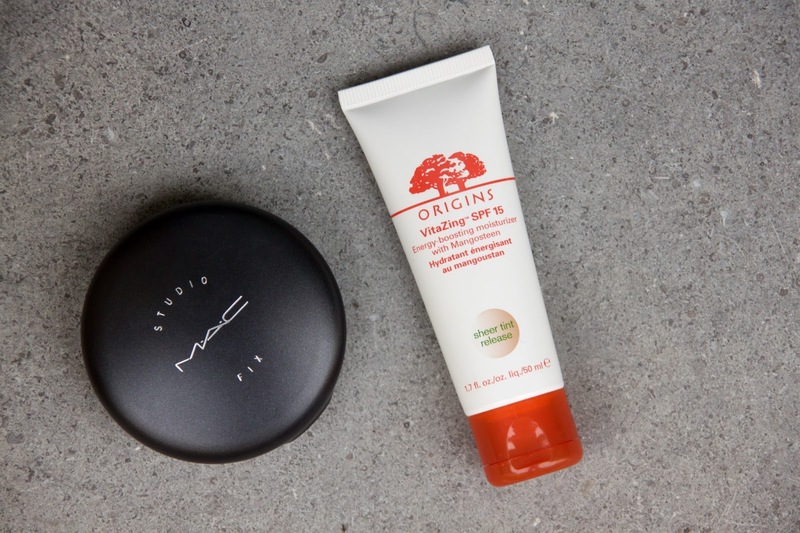 Something about mixing the Origins VitaZing (€ 37.00) and the MAC Studio Fix Plus Foundation (€ 30.00) is pure heaven. It doesn't look cake-y, it stays put and gives a light coverage. 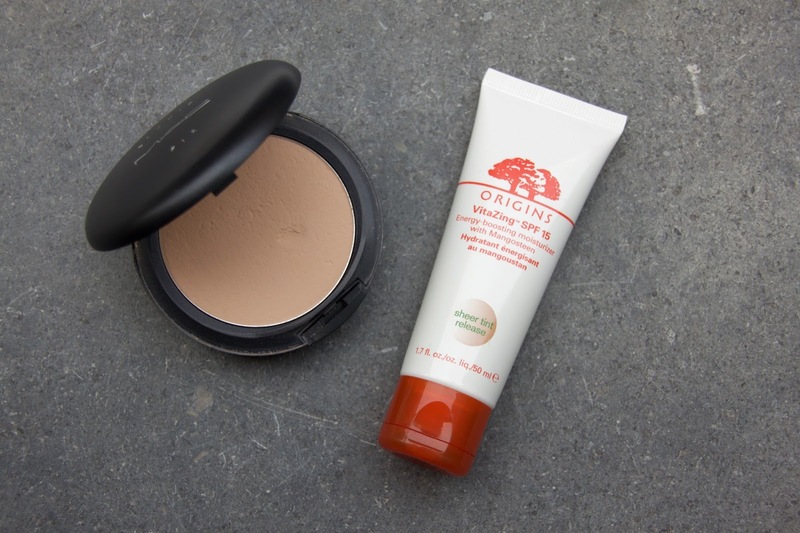 Origins VitaZing is one of those products that come out grey and adapt to your skin tone when you blend it in. For me, being pale, it means it gives me a slight sun-kissed look; it takes of the ghostly edge, if you want. The coverage is light, but that's exactly what I want. Fix Plus is a staple. On its own it's a great powder foundation, which I like during the colder months. Now, I use it to give my T-zone more coverage and prolong the wear of the base. What's your favorite Summer base?